Posted by stewsutton in Economics, Information Policy, Information Technology, Knowledge Management, Politics, Security. Disclaimer: This post is composed based on a review of publicly available information and a reflective commentary on events widely reported within the press. No “inside” information or perspective has colored or enhanced the commentary presented here, and these opinions are solely and completely associated with the author. As a technologist with an interest in preserving knowledge and improving the way we work with information, I am distracted by the subject of cyber warfare. Its all over the news and hard to ignore if you have access to the Internet, TV, or national newspapers. 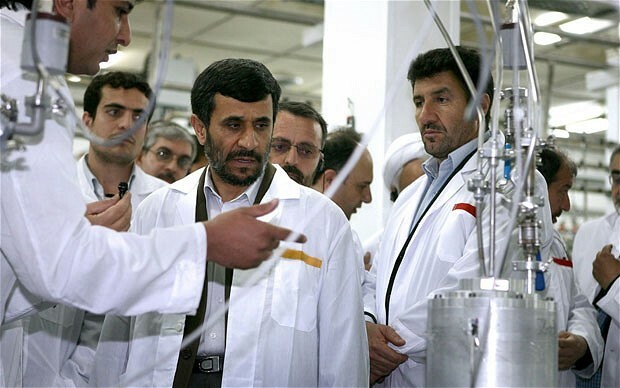 According to a report in the New York Times, President Obama accelerated a plan to cripple Iran’s uranium enrichment program by hacking into the program’s home base, Natanz. Although the program began in 2006, the Times reports that Obama pushed increasingly aggressive attacks, even in his early days in office. The New York Times writer David E. Sanger claims that the U.S. developed a worm with Israel called Stuxnet. This is a very sophisticated virus – so advanced that Symantec and other security experts could not figure out who made it. The Stuxnet worm crippled 20% of the Iranian centrifuges at Natanz. Analysts and critics are still debating whether Stuxnet seriously impeded Iran’s nuclear ambitions or just slowed them down a bit. However, nobody is denying the serious implications this tactic has for modern warfare. This TED Talk video from March 2011 describes how when first discovered in 2010, the Stuxnet computer worm posed a baffling puzzle. Beyond its sophistication at the time, there loomed a more troubling mystery: its purpose. Ralph Langner, a German control system security consultant. and his team helped crack the code that revealed this digital warhead’s final target. In a fascinating look inside cyber-forensics, he explains how — and makes a bold (and, it turns out, correct) guess at its shocking origins. The Stuxnet cyber attack represents a new formally established method of warfare. 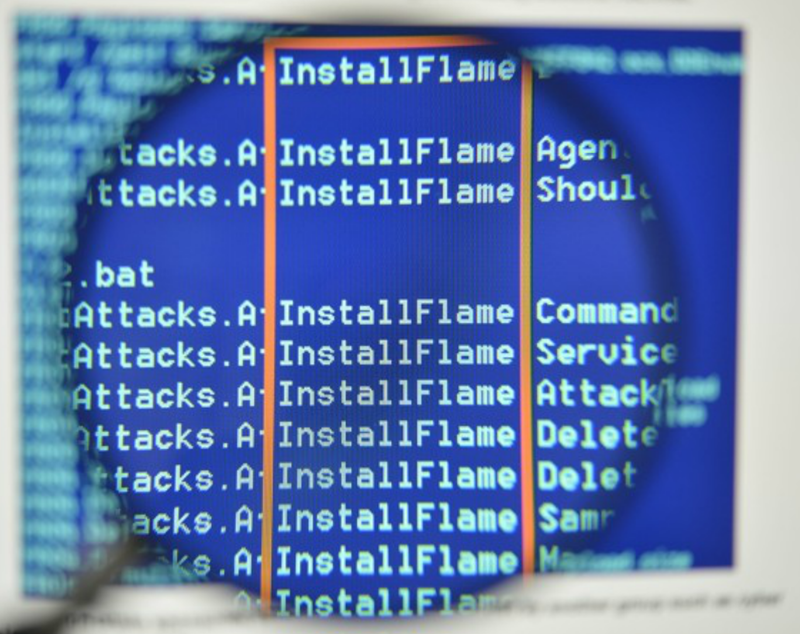 And more recently, the equally insidious Flame virus is capturing the attention of cyber-watchers. There is still speculation on who originated this specific virus. But the frequency of cyber-actions appears to be on the uptick. The following references are links to press sites where the ownership and origin of Stuxnet and other viruses within this emerging Cyberwar are being declared. With all of this making big news today June 1, 2012, we have some interesting counter-dialog that emerged in a publication on May 31, 2012 from Adam P. Liff, a Doctoral Candidate in the Department of Politics at Princeton University. The title of the article that was published in the Journal of Strategic Studies is: Cyberwar: A New ‘Absolute Weapon’? The Proliferation of Cyberwarfare Capabilities and Interstate War. Within the article the central objective is to explore the implications of the proliferation of cyberwarfare capabilities for the character and frequency of interstate war. The contrarian view expanded on within the paper is that cyberwarfare capabilities may actually decrease the likelihood of war. In one hypothesis, computer network attacks (CNA) represent a low-cost yet potentially devastating asymmetric weapon. The hypothesis is that asymmetric warfare will increase the frequency of war by increasing the probability of war between weak and strong states that would otherwise not fight due to the disparity between conventional military strength. A second hypothesis put forward by Liff is that the plausible deniability and difficulty in attributing cyberatacks could lead potential attackers to be less fearful of retaliation, and thereby use CNA where they would not dare attack with conventional weapons. As it took a while for the disclosure of the Stuxnet virus to be attributed, it is also likely that the time required to attribute an attack will accelerate. Its all a matter of computer algorithms, processing power, and effective application of cyber-forensics. Those with the bigger computers, better algorithms, and smarter scientists have a decided edge in conducting an effective investigation of the cyber war scene of the crime. Another hypothesis put forward by Liff is that the difficulty of defending against cyberattacks will render states exceedingly vulnerable to surprise attacks. And since state will not be able to afford to attack first, the offensive advantage of CNA may increase the frequency of preemptive war. At the present time however it seems that for a few more years, the cyberwarfare domain will concede an advantage to actors that have considerably more resources; thereby offering an offensive advantage to those actors. A summary conclusion offered by Liff is that in some situations CNA as an asymmetric weapon may actually decrease the frequency of war by offering relatively weak states an effective deterrent against belligerent adversaries. While this opinion is interesting, it seems unlikely since the ability for weak states to guard their secrets may directly affect the confidence in another states success of a preemptive cyberattack. To provide a more visual example of these three elements of our modern information ecosystem in action consider the person using an iPhone/iPad (access point) over a WiFi in a coffee shop (persistent network connection) and updating their Facebook or Twitter account with new information (data and applications in the cloud). These actions and examples go far beyond the simple consumer visualization here, and are increasingly the “mix” for business applications. We are rapidly moving from desktop computers to laptops to tablets and for the majority of information transactions in the future, the mobility will extend into wearable computing devices like fancy eyeglasses (Google Glasses). This increased mobility is irreversible and the supporting technology that supports and speeds this mobility will win in the marketplace and it will further establish fully mobile computing as the way we transact with information. The difficulty however is that the increased mobility introduces an expanded reliance on networks and big data/app centers where all the digital stuff we work with is stored and served up. So while we had the “big 3” automakers back in the 60’s and 70’s, we now have the “big 3” digital service providers of the 21st century in the form of Amazon, Apple, and Google. You have got your iPhone, iPad, Kindle, or Android device accessing an increasing portfolio of content and applications from the “big 3” digital service providers (think Kindle Books, Apple iTunes Music, and Google Drive for your documents, and other digital data). So while the cyber threat is spoken about in relationship to national infrastructure and associated information assets, the threat to basic day-to-day personal information systems is also a reality. Now it would not be a national security incident for people to lose access to their music on iTunes, or their picture albums on Flickr, or their collection of novels from the Kindle store, it is the increasing ubiquity within which we traverse this collective set of services that can be forecasted as a more complete reliance on similar arrangements for everything we do within the modern information economy. Digital wallets in our mobile phones, online banking from wherever we are, controlling access to systems within our homes, and even the education system with increasing emphasis toward online learning and instruction. It is a pretty safe bet that the information ecosystem will be pervasive and all information will need to successfully traverse this ecosystem. Our daily lives (both business and personal) will become increasingly dependent on the reliability and performance of this information ecosystem. 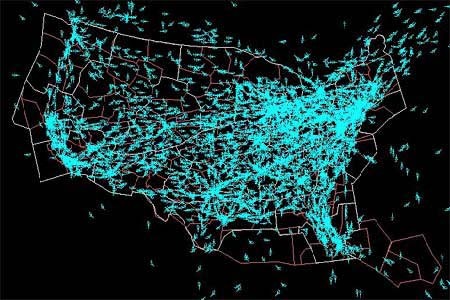 It is a relatively simple inference to conclude that the information ecosystem will be under constant attack in the “cyber domain” and that will affect a more complex relationship between government-based protection of our “cyber border” in a manner not that far removed from how we protect our physical border. Will this have a profound and lasting effect on the way we interact with our information? Certainly it will. There will be less anonymity within information transactions (since strong tie-ins with verifiable identity are foundational to improved security. So you will be leaving digital “breadcrumbs” of digital transactions wherever you go within the cyber domain. How much of this digital history will need to be publicly accessible, and how much will remain private will be the subject of much dialog and innovation, and services, and likely government policy. It is going to be, no, it already is a brave new world and the digital cyberwar will just be another aspect to the 21st century way of life. Posted by stewsutton in Information Policy, Knowledge Management. Call it the W5 if you like… The key attributes of a digital asset strategy. I like to simplify things and this is my attempt to provide a simple framework for all of the key elements associated with digital information management. Let’s do a simple “unpack” of the top-level terms and let’s further assume that the digital assets are really enterprise knowledge assets. So let W5 guide your KM digital asset planning. Posted by stewsutton in Collaboration, Communications, Information Policy, Knowledge Management, Stewardship. Imagine that you have a culture where markings of authority is essential to knowledge pedigree and that pedigree knowledge can only be delivered as part of a carefully orchestrated multi-level consensus campaign. Does not sound like a very good fit for social media technology. However, it may indeed be a good home, with some tuning of the technology. When you get your social media collection out of the box and lay out the parts you notice a “blog” (like WordPress), a “wiki” (like MediaWiki), a “tagspace” (like del.icio.us), a “web cms” (Joomla, Drupal, etc. ), a “media repository” (like Dspace), a “discussion system” (like phpBB), a “social profile system” (like facebook), a “microblog” (like twitter), and maybe a few other parts. All of these components are ready to use in a highly collaborative Web 2.0 environment. How does that square with a culture that needs to see a completed artifact before it can be “reviewed”. A culture that by process of review has a give and take between concepts and key points, thereby refining the artifact. A culture where the “author” is not a group, but a recognized authority and others are providing peer review editorial on the artifact. A culture where the step-by-step uplift of the artifact through levels of management establishes the actual pedigree of that artifact. A culture where upon establishing sufficient management endorsement (pedigree) the artifact can now serve as a key position. Now that we have that key position, we can construct a campaign of consensus around the position that the artifact represents. That consensus builds as a this position is delivered to multiple levels of the customer organization. A consensus that respects and considers that clarifying the position requires unique communications at each level of the customer organization. Is such an environment a place to plug-in social media as an out-of-the-box solution? In a word – No! Social media in this environment requires conforming of the social media components to the perscriptive business process of peer-review, pedigree forming and consensus forming. At a simple brush, that requires that some of the general purpose aspects of the out-of-the-box social media stack need to be tuned a bit. Where is the “version-lock” feature in the wiki? Where is the private channel page collection within the blog and wiki space? Where are the explicit “workflow” features that can be process-wise associated to artifact forming, review, and endorsement? It’s not there in our out-of-the-box experience. So do we “modify” what’s there, look for an alternative, or wait? If you have the talented staff in place, then a modify is probably a good alternative. Waiting works if you don’t have cash and the need is not urgent, and looking for an alternative? We are always on the lookout for the new new thing!